Gastronomy is the hotel's biggest brand. Guests start their day with a delicious breakfast, consisting of more than thirty items, from traditional regional pastries to unforgettable tapioca. Our menu includes international and regional dishes, where Bahian cuisine can be enjoyed through the famous shrimp moqueca, a must-see. 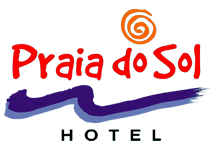 The Praia do Sol Hotel is ready to serve you in any type of occasion: weddings, events, dinners and others.